Pretzel buns are so trendy right now. 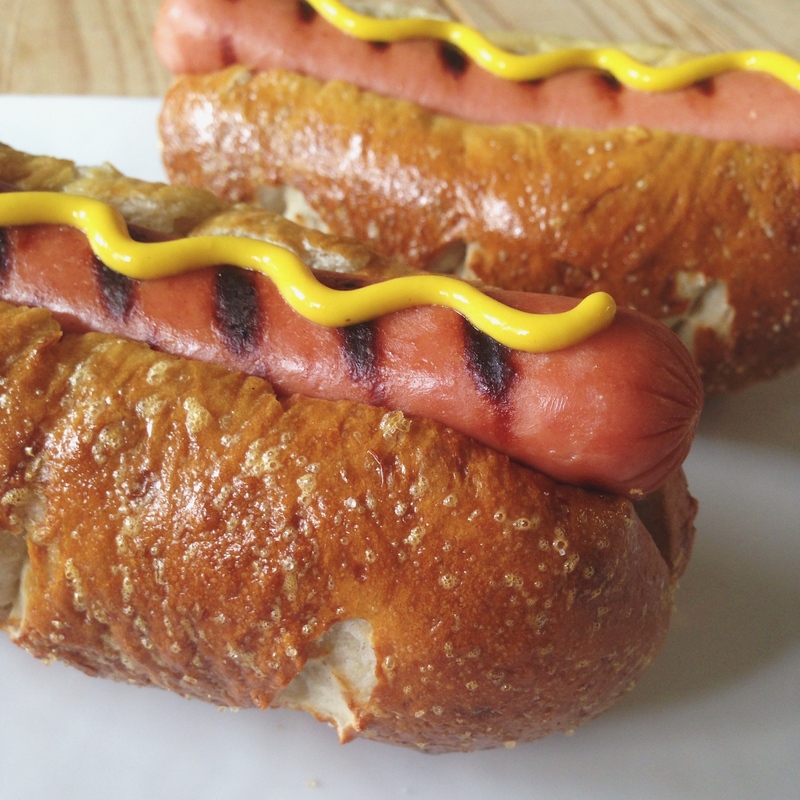 After enjoying a hot dog on a pretzel bun, I started wondering just how difficult it would be to make them at home. After looking up a few pretzel buns recipes I realized that, while it’s a bit time-consuming, they’re pretty simple to make from scratch! 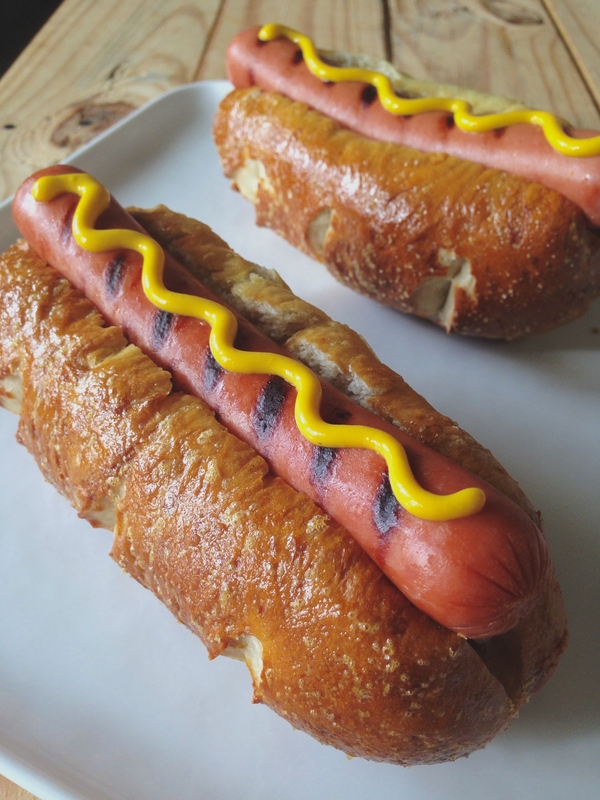 These pretzel buns also have the husband’s seal of approval. We liked them so much that we easily could’ve enjoyed the pretzel buns all by themselves. I can’t wait to use this recipe to make buns for hamburgers or sandwiches next! 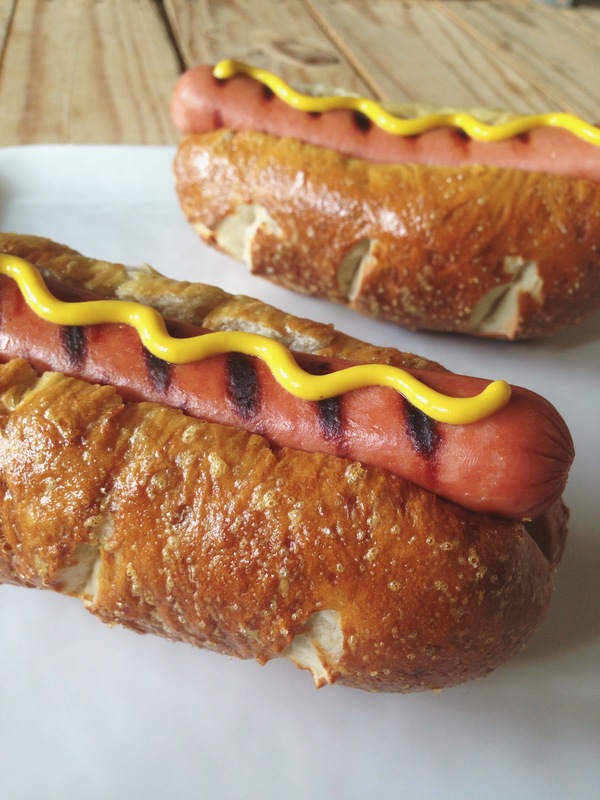 Try topping your hot dog or hamburger with my Smoked Chipotle Ketchup! Pretzel bun recipe was slightly adapted from here. In the bowl of a stand mixer, combine water and yeast. Let sit for about 5 minutes, until it bubbles and foams up. Then add sugar, flour, and salt. Use the dough hook attachment to mix until well combined. Cover bowl with a kitchen towel and let rise in a warm place for approximately 1 hour, or until dough has doubled. Punch down dough in the bowl, then separate dough into 8-10 even balls. Keep in mind that dough will end up about double the size of what it is now. 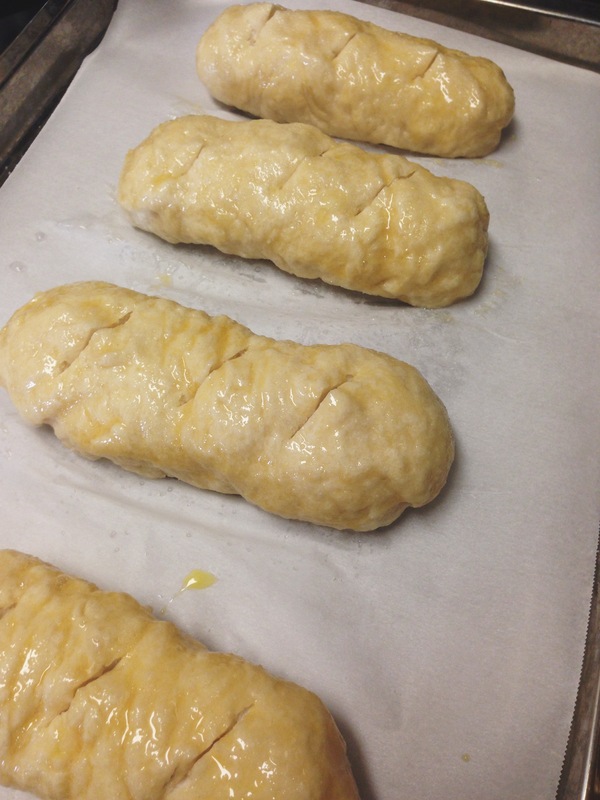 Form dough into whatever shape you’d like by gently rolling it in your hands. Smooth the top and wrap any excess around to the bottom of the bun, pinch to seal. Place pinched side down on baking sheet. 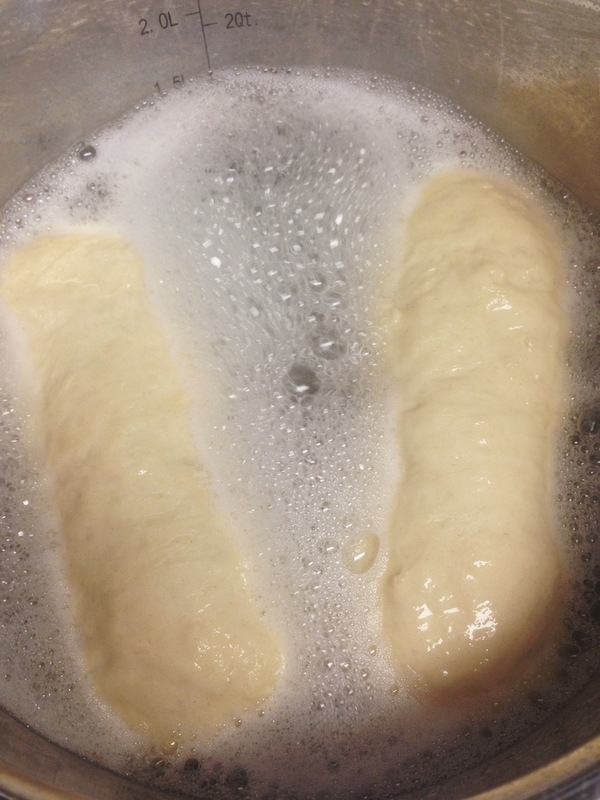 Cover buns with a towel and let rise for 30 minutes or until they’ve almost doubled in size. Preheat oven to 425°. Fill a pot with 2 quarts of water, place on stovetop and bring to a low boil. Reduce heat to a simmer and add baking soda. Place buns, several at a time, into the water. Boil for about 30 seconds, flip, then 30 seconds more. Carefully remove buns with a strainer. Place back on baking sheet, seam side down. In a small bowl, beat the egg. Use a pastry brush to brush egg over each of the buns. Sprinkle salt over the buns. With a pair of kitchen scissors, make several cuts on the top of each bun. 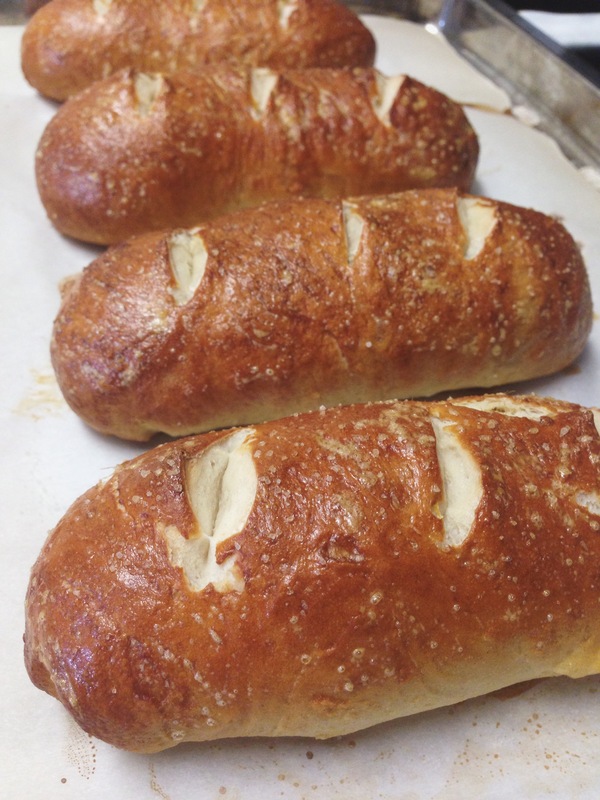 Bake for 15-20 minutes or until pretzel golden on top. Thanks Jewels! It’s definitely a fun twist on two tasty treats! OMG I can’t believe how delicious these look. I showed them to my husband and many dirt jokes about buns ensued.